Discipline Is Not A Bad Word! Many parents today are concerned about disciplining their children. Some don’t want to be “mean,” others don’t want to “damage” their children. Some want to be “friends” with their kids, and others just aren’t sure how to do it. The key in positive discipline and limit setting is to teach cooperation! You can start teaching this to your child when he or she is a baby! Praise positive behavior! Give them specific and authentic compliments. Set up opportunities for them to do something “right” and then recognize it. Different children need different levels of discipline. Consistency in setting limits is essential, as is giving your children ideas about what they “can do” instead of only what they “can’t do.” Our goal with discipline is to help children internalize pro-social behavior. I often liken it to swaddling. Before a baby is able to soothe him or herself, we swaddle them. Once they are a bit older, we leave their arms out of the swaddle, so that they can work on controlling their hands and arms and start to learn to self soothe. Eventually, we remove the swaddling all together as babies become better able to control their movements and more deliberately calm themselves. Consistent limit setting helps young children feel safe. In time, the concepts we have actively taught our children, will become a part of them instrinsically. Bottom line…know what expectations are developmentally appropriate for your child, fight the battles worth winning, and be consistent in your reactions. 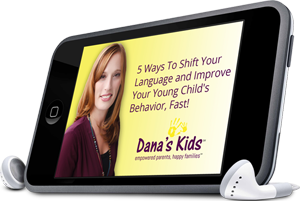 Acknowledge your childs emotions, but do not tolerate unacceptable behavior. Teach them to manage their emotions. Teach them what is and is not okay in your family. Support them as they learn self-control. Reinforce their positive behavior. Children cannot do this on their own. They need grownups. Positive discipline and limit setting gives children a lifelong gift! Start giving to your child today! This entry was posted in behavior, challenges, consistency, cooperation, developmentally appropriate, discipline, limit setting, parenting, parents, positive discipline, self-control, tips, young children and tagged behavior, challenges, consistency, cooperation, developmentally appropriate, discpline, limit setting, parenting, parents, positive discipline, self-control, tips, young children. Bookmark the permalink.